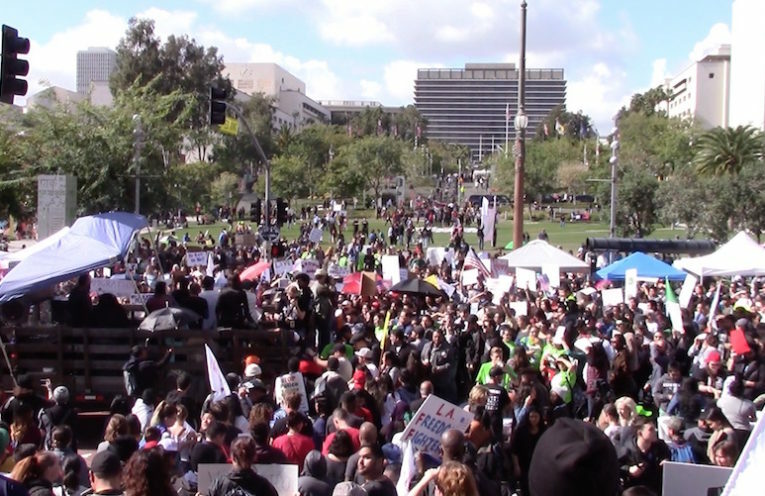 As thousands of people gather in downtown Los Angeles for an immigrant rights rally we’ll air a special report today featuring immigrant voices speaking with our correspondent Tami Hamada Woronoff. And, as the House moves to strip funding from Planned Parenthood and even eliminate abortion rights, we’ll speak with Christine Grimaldi of Rewire News who’s been following the GOP and Trump agenda on reproductive rights. Finally, long-time activist Jonathan Smucker joins us to discuss his book, Hegemony How-To: A Roadmap for Radicals.